Now that you hopefully have a better idea of WHAT to feed your kitties, let's talk about HOW to feed them! Like most cat guardians, the way I feed my feline family members now is very different than how I used to feed them years ago. One of the reasons for my change is that I became more aware of how much my own diet was impacting my health and quality of life. I then felt a responsibility to also be more selective about what and how my cats ate. And, it has paid off in having happier, healthier cats and lower vet bills! After I figured out what kind of healthy food my cats liked, I learned about why free-feeding was probably not the best way to feed them. After all, cats are not wired to eat all day in a buffet setting. They don't wake up after a nap to find a meal nearby just waiting to be eaten. Our kitties are hunters and are wired to hunt and then eat. Then sleep and play and start all over again. Dry food usually becomes stale after being left out for a day or so. If dry food gets wet, unwanted bacteria can grow quickly. 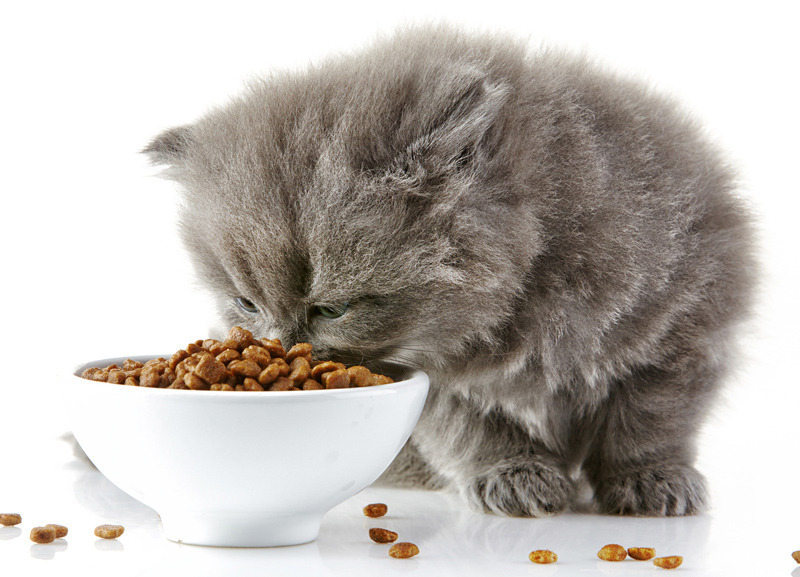 Some cats tend to overeat dry food and often eat out of boredom. The digestive system tends to run overtime when they can eat and/or smell their food 24/7, which can play havoc with mealtimes and their appetites. Since dry food requires moisture to be digested, most cats are often in a chronic state of dehydration if they eat dry food exclusively. All food bowls for cats should be no more than 1 to 1.5 inches tall and 4 to 6 inches wide to prevent their whiskers from touching the sides of their bowls. Since their whiskers are super sensitive, make sure your cats' food bowls are shallow and wide enough to avoid having their whiskers mashed when there are eating. In a multi-cat household, make sure each cat has his/her own food bowl and place them at least 3 feet apart if you have room to do so. No problem with sharing water bowls though! The water bowls can be taller than their food bowls, and you should probably have more than one. It is best for the water bowl to have a flat bottom to avoid being turned over. Filtered water is much better than tap water. CAT BOWLS SHOULD BE CERAMIC, GLASS OR STAINLESS STEEL AND WASHED DAILY - NO PLASTIC FOOD OR WATER BOWLS!